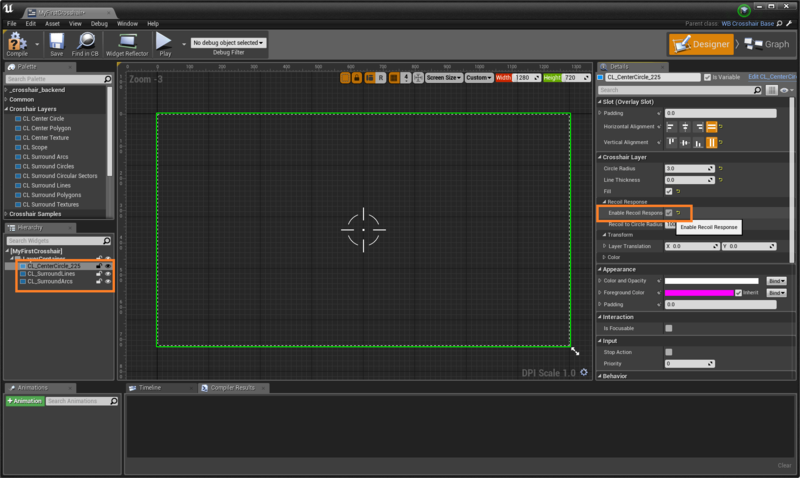 In step 3, we will adjust the dynamic behavior of the crosshair. More specifically, the dynamic recoil response when users fires an weapon. All the crosshair layers, by default, do not response to the recoil. 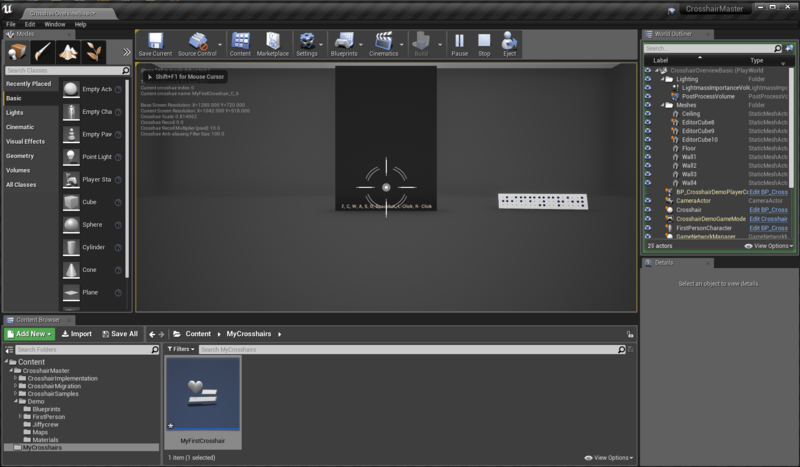 That is, when fires the weapon, the current crosshair does not react at all ( Add the current crosshair to the level following Getting Started: Project Migration (Applying Crosshairs to your game and check it before proceed.). 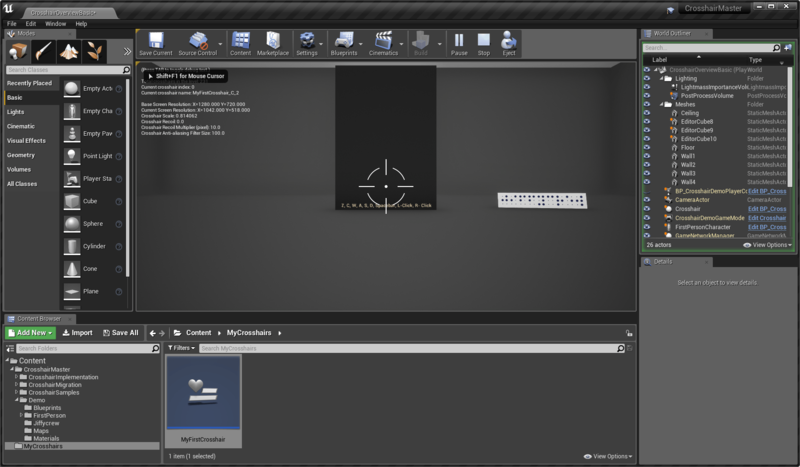 To activate the dynamic response, go to Details panel – Crosshair Layer – Recoil Response and Check Enable Recoil Response for each layer. Now you can see the dynamic response of the crosshair to the firing.